Ticketmaster User Research. European Tour. 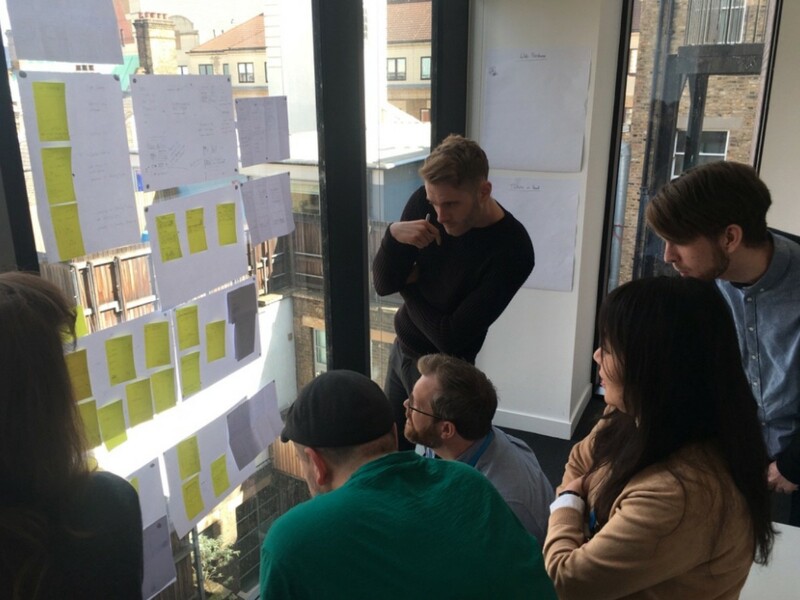 During Q4 2016 and Q1 2017 our Product Design team performed a stretch of User Research across major UK & European markets. 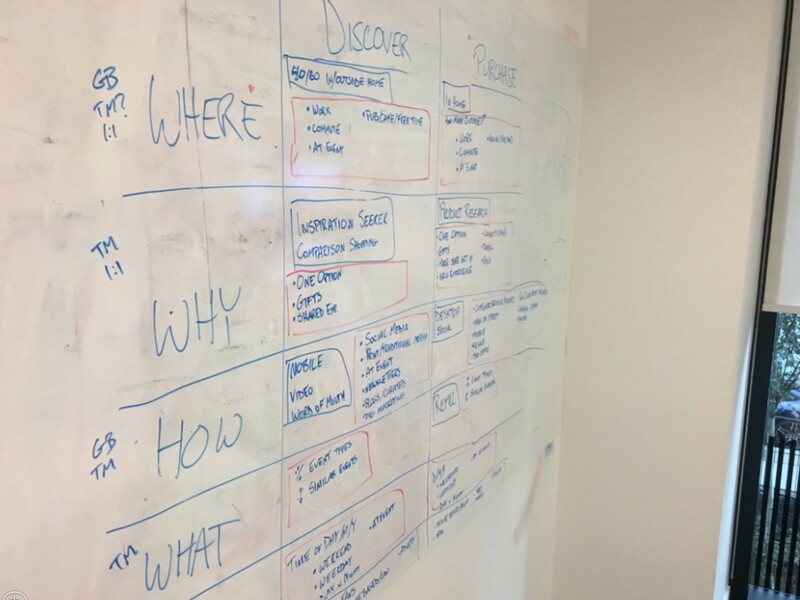 Our goal was to best understand the motivations and journey of users when discovering events. 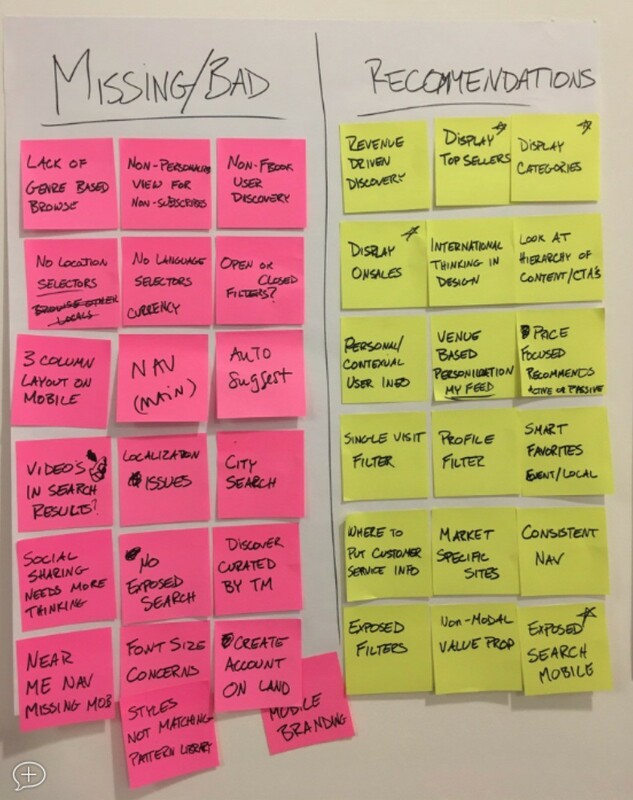 This would lead to redeveloped User Personas, a refreshed Journey Map and a set of key insights to support decision making on the beta flagship eCommerce site. This incidentally is some of the work I’m most proud of so far in my career. We identified the following areas to measure our success against: Understanding the who, what, when, how, why & where of contemporary event discovery. Fostering of better collaboration between teams and advocacy of human centered design culture. Reporting of key insights to drive decision making on the new flagship ticketing site. Reporting of key nuances between markets based on social, technology and economic attributes. Our core research team was made of up of our UX Director, 2 UX leads (including myself) and 2 junior designers. We knew this posed a challenge in both time and the financial feasibility of performing primary research across all european markets. We knew that ‘smart’ and ultimately success, in this case, meant we had to leverage all possible resources and build relationships between functions. As a eCommerce giant Ticketmaster has a dedicated, yet small, insights team. 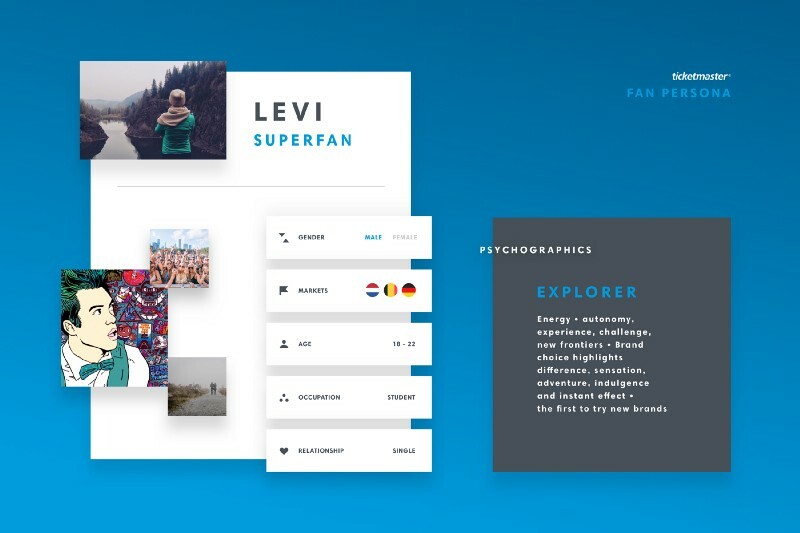 They analyse masses of data on ticketing discovery and purchasing habits. The team primarily reported upwards to C-Suite only and collaboration was historically minimal between the Insights (Marketing) and Product/ Engineering Function. We built relationships and shared resources so the Insights team had more influence over product direction through quantitative analysis. We gathered reports and much raw data on consumer habits. Additionally, we worked with the team of Product Managers to produce reports across many analytics and recording tools include Adobe Omniture, Google Analytics, AppSee & using SQL to drill into our databases. Our design turned research team produced reports on macro economics across markets and leveraged the Google Consumer Barometer to draw market based comparisons on consumer habits. From this we had a good quantitative understand of the Who, What, When & How. 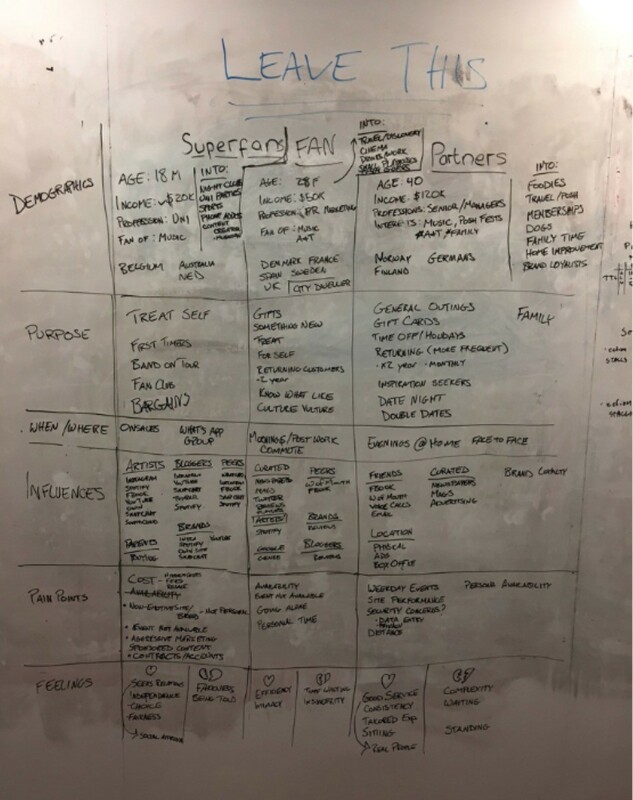 We held workshops with our immediate team and business stakeholders to flesh out proto personas and a journey map based on our quantitative insights. We drew assumptions on the aspects we didn’t have the highest confidence in through data. The exercise gave us an obvious focus on what research to further perform in order to meet our desired outcomes. The final part of our puzzle was the Why & How; we planned to tackle through qualitative research. With the constraints posed came a drive to achieve results faster and smarter. We identified our key strategic cities (Glasgow, Manchester, London, Berlin, Madrid, Barcelona, Paris, Brussels, Amsterdam, Stockholm & Gothenburg); booked seemingly infinite amounts of hotel and flights and set plans to divide and conquer our European tour over 2 months. We worked with the respective marketing, legal & finance teams in each countries HQ to schedule social media posts, an NDA & remuneration for user recruitment. We setup a Google Site with forms, which the social posts linked to. They gave applicants all the information required to apply. Confirmations were sent by email and phone calls to confirm attendance and scheduling nearer the time. Each interview was hosted by a UX Lead and Junior (rotating of interviewer and note taker responsibilities) as well as a representative in each cities HQ to translate and observe. Part One: We developed a script based on a semi-structured interview style that required a user to reflect on their most significant past-interview experience. The style was ideal to allow us to home in to significant information using the ‘Five Whys’ technique. 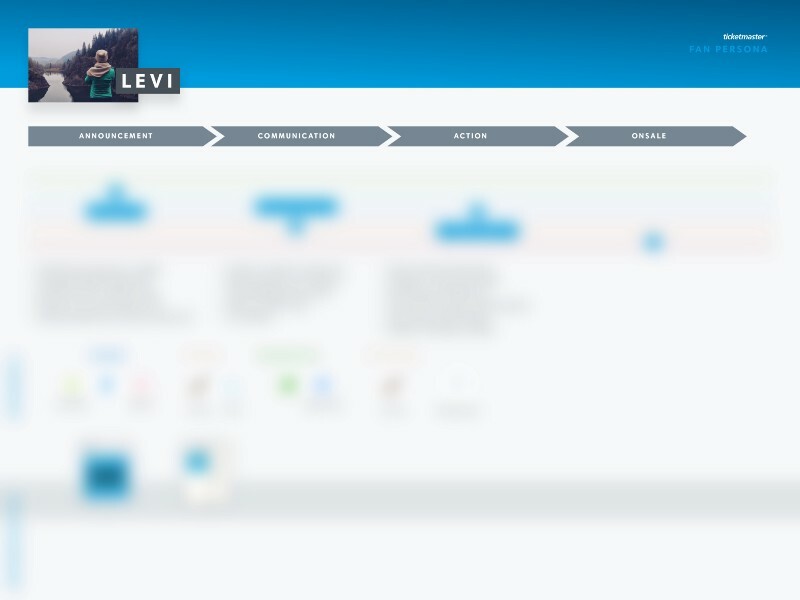 Part Two: We performed User Testing on the current and beta Ticketmaster site and apps to understand and benchmark how users navigate through the site from Home to Product (Event) Detail page. To record video of the room we used a GoPro camera. Audio was recorded on iPhones. We used a cradle and webcam to record users operating an Android/ iPhone (of their choice) and a MacBook with Silverback and a Quicktime to record the screen and later capture highlights. In total we performed over 50 interviews and (in the light of honesty) underestimated the huge time requirements of analysing the interviews and user testing to gather key insights. In total this took over 100 hours of labour until we drew strong connections and findings. Our intensity around planning and preparation for the interviews led to a resounding fluency under series time-pressure, however, if I was to undergo this again, I’d give equally series consideration to the analysis aspect and carefully select tools and a process to get results as fast as possible. By travelling in person to each markets HQ (and involving team members in marketing) we were able to better advocate Design Thinking. Our feedback was incredibly positive from internal stakeholders and we felt we’d laid the foundations for a brighter, human-centered, future. In reflection, this was the greatest win. 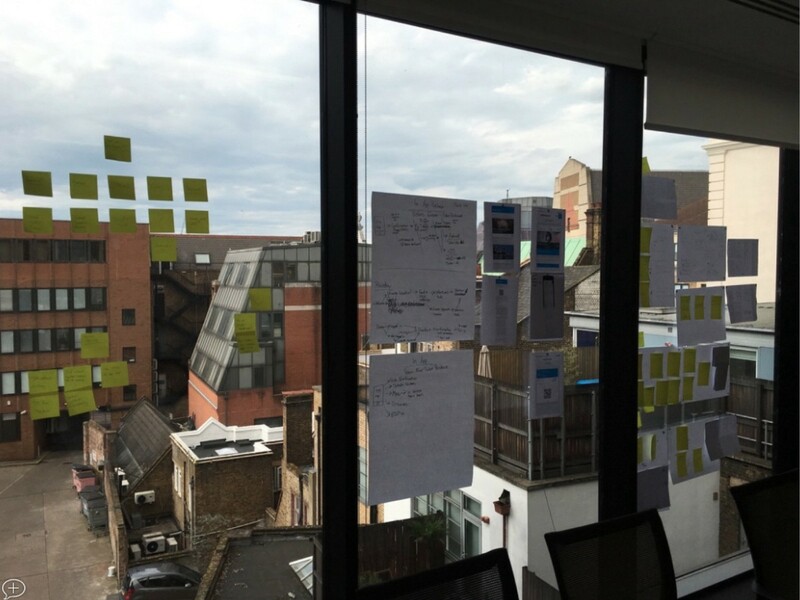 We met our desired outcome and developed validated User Personas & Consumer Journey Map. Our prototype versions were refined and produced in glossy high-definition. They take center stage now on the walls of the office and headline pages of Confluence. As mentioned, I’d be sure to afford much greater resources to analysis. Secondly, the research into macro-economics and market based behaviours became much of a red herring for us. In truth, when it comes to Live Entertainment and the artists, teams and acts fans love; often the emotional ‘jobs to be done’ far outweigh the realities of financial frugalities. Fans will spend their last penny. A final, yet clear bet we made from the start was… Simply due to the realised influence of information delivered through social media, concert fans no longer seek the brands products (Ticketmaster website & apps) as a source of event discovery. Our findings found this to be a highly valid hypothesis. Negating the need for huge investment and a complex user experience as the value delivered to our audience had largely faded. It’s important to state that the site would still attract million of visits through it’s event discovery channels due to the sheer scale of the business. Through our process we learnt that our product function strategy in shifting towards an optimised account and checkout, open APIs, white-labelling, and the marketing of ticketing sales and discounts for recurring and lesser attended events such as theatre; was very much validated. In essence, Beyonce doesn’t need ticket marketing, they’ll sell themselves seventy times over. 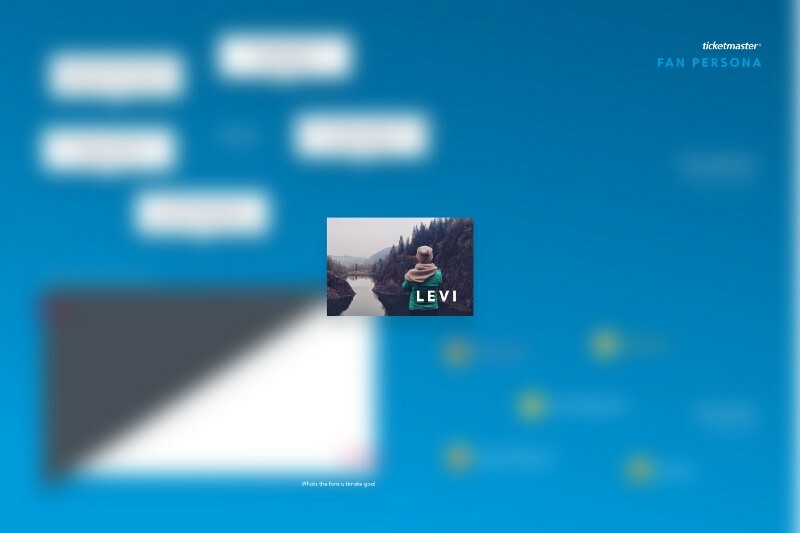 I’m Luke Illidge, A creative lead with strong capabilities in primarily UX along with Interaction & UI Design. My passion is transformation through Design Thinking. Founded by a naturally high curiosity, divergent thinking and a UX toolkit to execute projects. Check out my portfolio for more juicy design goodness. A (UX) Product Designer in London. My passion is transformation through Design Thinking.